And it’s pretty easy too – just get your database credentials in place and you’re done. The other settings available in the wp-config.php file will work just fine using the default values, but there are some cool things you can do to customize functionality, tighten security, and improve performance. Once you get the basics of wp-config.php, you can really pimp it out to do some awesome stuff. With the wp-config.php file now ready to go, it’s time to protect it..
Once the .htaccess file is in place, ensure that permissions are chmod 640 for both files. This setting returns a “403 Forbidden” error to all external requests. Combining proper file permissions with .htaccess protection is an excellent way to secure your wp-config.php. Now that wp-config.php is secure, it’s time to add the required database information and then customize for optimum performance. 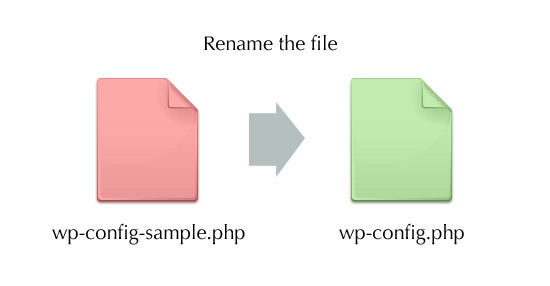 This section covers the first four configuration settings that you’ll find already included in your wp-config.php. Then in the next section, we’ll explore some awesome techniques and really pimp things out. For most servers, you’ll need only the first three bits of information: database name, username and password. If WordPress can’t connect after that, then you may need to change the hostname to whatever your host tells you. Only fiddle with the last two items – charset and collate – if you have need and know what you’re doing. Don’t use the example keys shown here though – the whole idea is to specify unique phrases to improve security. And it’s totally fine to replace these keys at any time – the worst that will happen is that currently logged-in users will need to log in again. At this point, we have our database credentials and secret keys all ready to go. Next we want to further improve security by specifying a unique database prefix. This works, but as the default value, it is heavily targeted by malicious scripts and bad bots. Changing it to something unique essentially immunizes it against automated attacks on anything prefixed with wp_. The more random and unique the better, like a password: “h7G3vcDEo3jDf_” would be a good example. Note that ending the string with an underscore or some other easily recognizable character is a good way to keep things readable and easy to use. It’s pretty straightforward: if nothing is specified (as is seen here), English is used; otherwise, you include the .mo language file you are using for the translation. Now that you’ve got the database connection, security keys, table prefix, and language definition dialed in you’re ready to rock. Most WordPress sites are in great shape at this point, but there is much more that we can do with wp-config.php to maximize performance and make our lives easier. By disabling Trash, you’ll be deleting stuff permanently the first time, just like way back in the day. There you’ll be able to optimize and repair your database without needing to log in to WordPress. Important: While you have WP_ALLOW_REPAIR set in wp-config.php, the Database Repair page is openly accessible by anyone who finds it. So definitely remove the line to disable the auto-repair functionality after you are done using it. These settings should match those specified in your WordPress Admin. 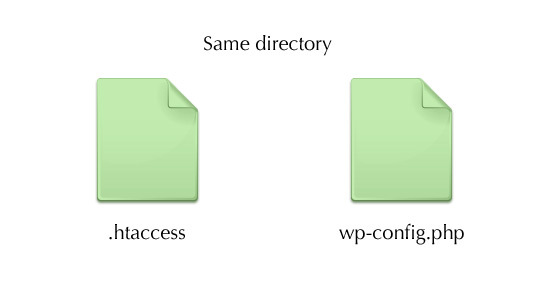 Once you set them in wp-config.php, they will be “grayed-out” when displayed in the WordPress Admin Area. Since WordPress version 2.3.1, users have been able to display certain errors and warnings to help with the debugging of their site. As of WordPress version 2.5, enabling error reporting raises the reporting level to E_ALL and activates warnings for deprecated functions. By default (i.e., if no definition is specified in the wp-config.php file), error reporting is disabled. Adding that snippet to wp-config.php tells WordPress to display warnings and error messages with your web pages. This functionality is extremely useful but infrequently used by plugin and theme developers. If you’ve never enabled debugging, you’re in for a surprise – lots of errors even with some of the most popular plugins. Error logs are powerful tools for keeping an eye on things and expediently resolving issues. It’s awesome that WordPress makes this so easy. We cover this in greater depth along with a couple of other methods in this post. By default, WordPress will automatically attempt to increase PHP memory up to 32MB, so this setting is only needed for values higher than 32MB. Note that some web hosts disable your ability to increase PHP memory, so you may need to ask (or beg) for them to do it. Some useful info, never really looked into the wp-config before. Yikes – what setting works for you? Unfortunately on some servers 640 will be too restrictive. Even 644 may be too restrictive. It also depends on ownership. If Apache owns the file, and you have it set to 640, your FTP account might be the 4 or the 0, which is no fun. Our rule of thumb is to chmod the file as low as you can, but ultimately it is at the complete mercy of server setups, some of them not optimal. Definitely ask your host about this. They would know best. Then double-check their response online to make the best decision. wp-config is fine with 640 on my server, but htaccess would only allow with 644. Great tips and advice, thanks. Same result here. I had to go with 644. Seems the Public Read permission needs to be available? Exactly the same result for me. Same here. 640, is a no go. And 644 works. But I get a blank page, rather than Forbidden error. Which really doesn’t matter much, the file isn’t accessible, still. I don’t think. All my installations, over two hosts, are the same. Anyone else experiencing this? WP_HOME and WP_SITEURL sound really useful for when you’re restoring the database from the live site to a localhost installation. That’ll save you from having to edit the DB and change these settings (which annoys me everytime). Incontournable post de sécurité et personnalisation WordPress. Thanks a lot for this, i’ll test the htaccess/chmod on differents wp sites asap. quick question on the auth keys/salts. Is there a new set of keys for use with WordPress 3.x? I only remember getting 4 unique keys from the salt generator in the past, now there are 8. Just curious. Yes, it looks like there is a new URL/service to go along with the new keys. Are there any benchmarks available to prove that setting WP_HOME and WP_SITEURL increases performance? WP is going to query everything in that table anyway; I don’t see how it would help. What happens to an existing blog if you change the table prefix? Also, I noticed that with 1-click upgrades you don’t get the new versions of wp-config. Can you just add the 4 new SALT keys to the existing keys or do you have to generate the 8 keys together? I found the article on changing the table prefix on an existing blog at wpcanada.ca. Very good, step by step process. No answer yet on the keys. Pretty certain that simply changing the table prefix in wp-config will break any existing installation. $table_prefix should be set prior to installing your site (i.e. prior to running the install.php script). You still can change the table prefix for an existing WP installation; however, it will take more steps because any existing table name will need to be manually changed (via: Export->Find and Replace->Drop Tables->Import OR the method cited in Wes Hopper’s reply). Any records within the tables containing the old table names will also need to be changed. One note of caution; some records will be serialized (i.e. unreadable to humans without decoding), so even if you search for the old table names within certain records, they may not come up and your website will break anyway. Possible work-around; if someone can confirm that WordPress does not store any records with table names in serialized format by default, it may be possible to avoid breakage by first enabling the default theme and disabling any plugins. Although, I’m not sure how many themes and plugins are properly coded for this scenario. I know that upon deactivation, the register_deactivation_hook should be used, but there are probably instances where reactivating certain plugins/themes will also break things. Recently had a problem moving an installation because the blog_info option record is serialized. Fortunately, modifying this on the settings page prior to the database export solved this. Good points, and I would add emphasis on existing installations. Changing table prefixes is possible after install, but is infinitely easier doing it during the installation process. For the serialized data, I have never had a problem and have changed many prefixes post-install. @Wes Hopper: I would just generate a complete new set of keys. The worst that will happen is users will have to log in again, which they would have to do anyway even if you just added the 4 new keys. Perfect timing for this post! I just attended a webinar about all this, but it went a little over my head. This is just what I needed to bring it into clearer focus :-) Thanks! 640 will not work… thats very restrictive. Very useful tips. I have used your htaccess tips in one of my project. Honestly, I cannot forsee anyone doing this for anything other than malicious reasons, but for knowledge’s sake, look up Windows RAS. Very easy to setup. Excellent Tips… Will use this in future projects.. Thank you guys.. Keep us Informed, Keep us Inspired. This is a fantastic resource. Am bookmarking, and tweeting this. Since Version 2.6, wp-config.php can be moved to the directory directly above the WordPress application directory, ie. outside your web root. Good point. Since before that I’ve left wp-config.php as a most empty file that just requires another file outside the web root directory, but it’s easier to just move the whole file. Hello, these are very helpful but a bit intimidating. I am doing a WordPress site about police brutality and expecting a lot of attacks on it. Do you ever do consulting to make sure set up/security settings are set up well? Better yet, consulting on checking everything?! Of course I would work through the book first, but some of this is scary! Of course I am happy to pay your full rate and minimum hours. Thank you very much for these tutorials and CSS Tricks, they are so great. I can help you with this. Send me an email. Thanks! Thanks for the tips. We could also use a company to handle site maintenance & such for emergencies & for that which I am not able to handle. I will be in touch. About the .htaccess at the root level…I cannot have more than one .htaccess file in the same directory, correct? Many thanks for this very handy article. I’ll try to change table names … This really sound a very good idea ! I really enjoy the layout of your blog. Did you use an existing theme or custom designed it yourself? I have a long ways to go with learning these codes I did change some things when I set up my blog I still have wp there but my password and username are not wp-admin like a bunch of other wp sites I have seen. What I am wanting to know is in the near future i am going to want to start another wp blog for wp is very easy for me to use since I am not a computer guru I had to have something easy. Anyhow I have found out there is a wp multi site option where you can have a bunch of sites on one wordpress blog is that right? If so how hard is that to set up and make safe? A lot of useful stuff in this post, especially Post Revisions, Autosave Interval, which drives me crazy some days. Blog Address and Site Address will make using a development site MUCH MUCH easier. So i thank you in advance for that puppy. define('WP_HOME', 'https://digwp.com'); // no trailing slash. It took me a while to solve the problem.